Welcome to Bark Busters Home Dog Training Barnsley & Rotherham. My name is Gavin Chambers and I’m delighted to be working in your area as your local Bark Busters therapist. If you are having problems getting any aspect of your dog’s behaviour under control, I will be delighted to help you. I am a dog lover and dog owner. My two working springer spaniels, Lottie and Pippa keep me fit, active and on my toes with their boundless energy and enthusiasm. Like any dogs, they are so much happier and relaxed when they understand the rules and feel safe and cared for. I love to see dogs retain their spirit and love of life and, once dog owners learn how establishing rules and boundaries, the sight of a happy and well-trained dog is a joy to behold. 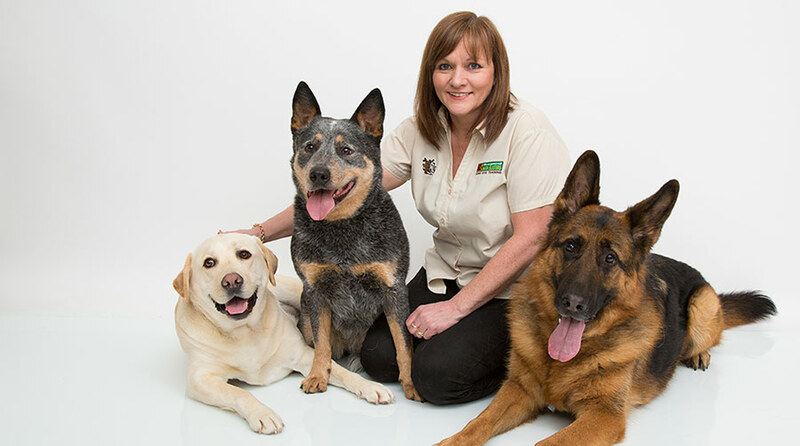 It is my love of dogs, together with my previous career in the hospitality industry that combined to bring me to my career as a Bark Busters Home Dog Training behaviour therapist. I know you may be wondering - how does a career in the hospitality industry lead to a career as a dog trainer? Firstly, I have always had a customer service focus offering value for money. This is something I am passionate about and bring to my role as a Bark Busters dog trainer. Additionally, my career had developed into a role as a lecturer in hospitality. This was a challenging and rewarding role where I learnt to recognise and respond to different learning styles and needs, when delivering training in new ideas and concepts. I love to watch people develop new skills and see the joy that this brings them. This carries through into dog training where, with patience and understanding, dog owners develop new skills and see the change in their dog’s behaviour. All the months and years of stress that they have experienced disappear once they learn how to communicate with their dog in a kind and consistent way, so that both dog and owner can relax and enjoy their life together. Whatever behaviour problems you are struggling with, I can help you. I will come to your home at a convenient time where, together, we will work on improving issues such as separation anxiety, barking, destructive behaviour, aggression to strangers, aggression to other dogs, pulling on the lead, recall, or even puppy training to get you and your puppy off to a good start. The lessons will involve lots of opportunity for you to practise your new skills, whilst I am there to show and guide you. Then I will leave you with lots of helpful, written information together with a programme for you to follow. My support guarantee means that I will return, free of charge, to assist you in your progress for the duration of your guarantee. It also means that I am always available by telephone or email to support you with any questions or queries you may have. We are fortunate to live in a beautiful part of the country. My role means that I travel around the area meeting lots of fabulous owners and their dogs. 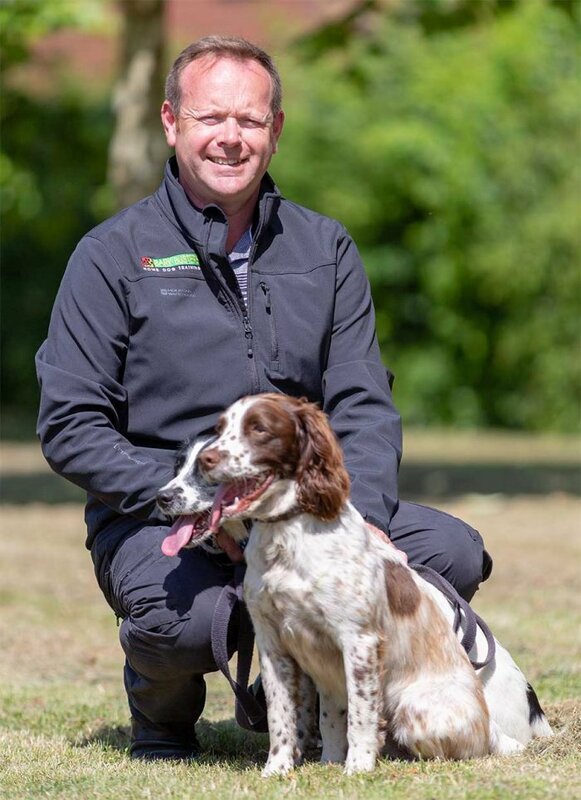 It also means that, when customers need me to, I can enjoy walks in the wonderful countryside doing what I love most – teaching owners how to enjoy their beloved pet and watching their pleasure reflected back from their happy dog. I would love to help you experience the joy of owning a well-behaved, happy dog. I hope to meet you very soon. Simply call free on 0808 100 4071 or click the red contact button, if you would like to find out more about my services and book a visit. You are very welcome to ask as many questions as you need to, and there is no obligation. Average rating 4.9 out of 5 based on the last 21 reviews out of 21. Gavin was fantastic!! Very knowledgeable and very calm when dealing with my dog. Early days yet but my hound seems to be responding well to all the advice and training Gavin advised and demonstrated. Amazing quality service. Very pleased! Gavin has really helped us to train my jack Russel within the first session of Gavin coming out to our home we can tell a real difference in jacks behaviour. Gavin accepts payment by cash or the debit and credit cards below.